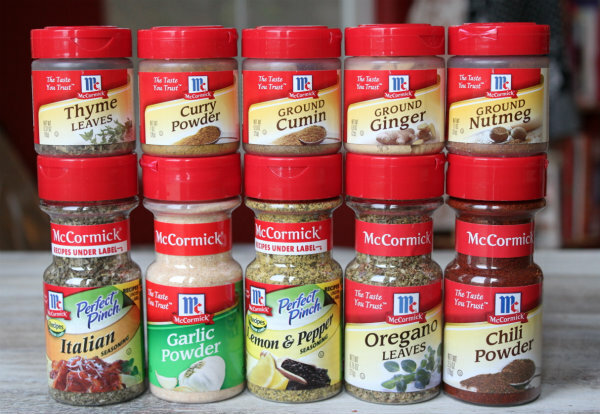 A couple of weeks ago, my mom and I agreed to a partnership with McCormick Spices. We are going to be the spokespeople for a new program that McCormick is putting together called Generation Fresh. Generation Fresh is all about showing people that meals can be made healthy by using spices to add exciting flavors to dishes and reducing the fat, sugar, and sodium that can make a dish unhealthy. Our task for McCormick is to you how we are making meals healthier in our kitchen, and to create some healthy recipes that use McCormick spices in them to take the place of bad things like fat, sugar and salt. I’m really excited to be doing my first partnership ever with McCormick- how cool is that?! It’s a big company! Using McCormick spices to create recipes in our kitchen won’t be much of a problem because our spice cupboard is already FULL of McCormick spices. 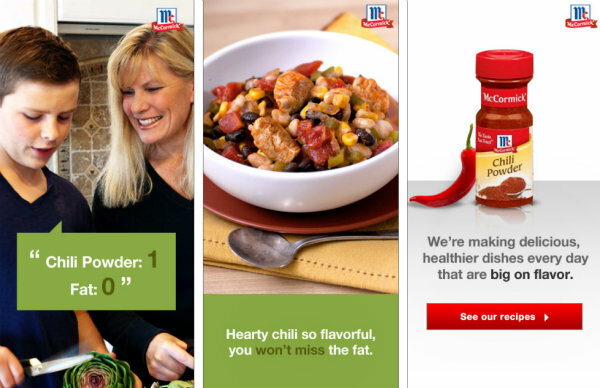 You might see some of the McCormick ads with our faces on them on websites across the internet! 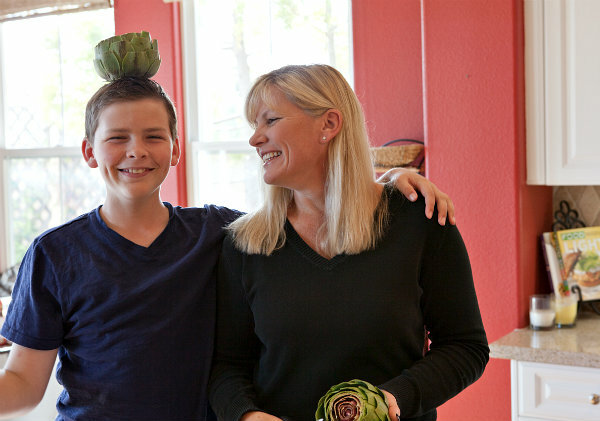 Lucky for us, we are headed to Baltimore this weekend to film some videos about the recipes we created for McCormick! Do you have a favorite spice that you like to use in cooking? And even a kid can have a partnership with a big company…Like Me! 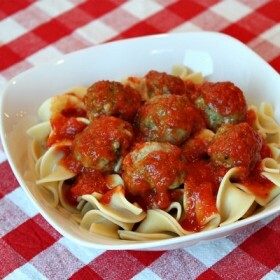 Disclosure: I’m currently working with McCormick to help create healthy recipes. I literally use Garlic Powder every time I cook. Along with fresh garlic! Look forward to seeing the recipes you cook up! Congrats! I love your blog! I also keep tabs on recipegirl.com noblepig.com and blogcchef.net. Do you have any recipes made with curry? I have never tried curry and I have been wanting to try it and since McCormick has a curry spice maybe you will be trying some new recipes made with curry? Good luck in Baltimore! Sorry, but I haven’t made anything with curry yet. Garlic, definitely. Also love tumeric. I guess because I love spicy rice dishes! This is AWESOME Recipe Boy!! Can’t wait to see what you and you mom cook up for us 🙂 Congrats! Brooks, this is great news! I’m so happy for you. Congratulations. My favorites are cumin and chili powder. I make a lot of Mexican food. Congrats to you and your Mom! I am so happy for both of you! We always use the grillmates, taco seasonings, garlic and onion powder. congrats on your partnership! I’m so excited for you and your Mom too. Enjoy your trip. Way to go Brooks!!! Next time we are at the beach, you can test some of your new recipes on us….after we play Monopoly! Hearty congrats to you — I’ll look forward to seeing you on the ads! Favorite spices? I have 3 whole drawers full of all kinds, but would have to say I love cardamom, cumin, and paprika the most. The dishes I use them in are always favorites. Best of luck to you and your mom! use lots of cumin,garlic powder,oregano, all Italian spices as I dont use any salt. 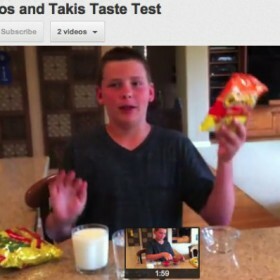 I’m a fan of McCormick too. I use their black pepper all the time and their Allspice for a middle eastern Dish. I Always travel with my McCormick spices because I don’t wanna be stranded without my McCormick….Just love those cute tiny spice bottles.